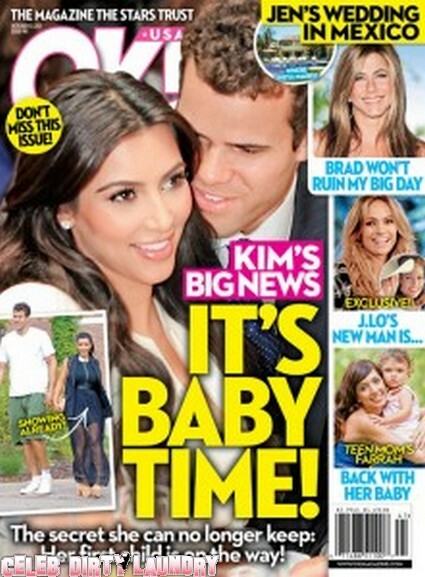 The tabloids have speculated ever since Kim got married that she was pregnant. However, OK! is claiming they have more info to substantiate their claims of Kim being pregnant. Also included in this week’s magazine they have all the info on how Jennifer Aniston is coping with Brad Pitt’s comments to Parade Magazine last week. According to the magazine there is nothing to cope with because Jennifer is busy planning her wedding to Justin Theroux. If you need to find out more about all this and more pick up the current issue of OK! which hits stands Thursday!